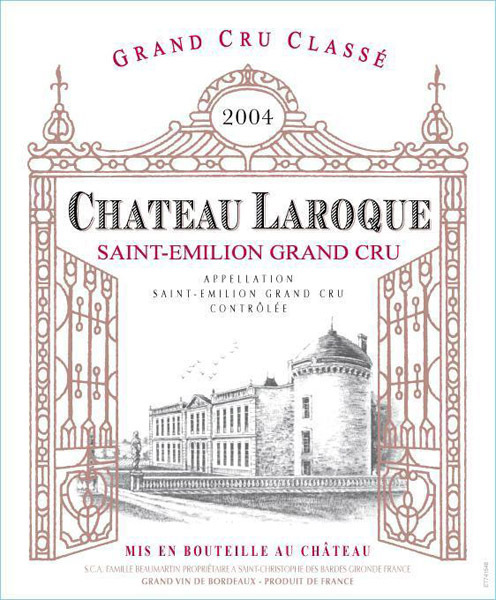 The Board affirmed a Section 2(d) refusal to register the mark shown immediately below, for "Wine of French origin protected by the appellation of the origin Cité de Carcassonne" [CITÉ DE CARCASSONNE disclaimed], finding it likely to cause confusion with the registered mark CHATEAU LAROQUE for "Wines having the controlled appellation Saint-Emilion Grand Cru" [CHATEAU disclaimed]. Judge Ritchie concurred, but disagreed with the panel's holding that in considering the cited standard character mark CHATEAU LAROQUE, the Board will not take into account design features that registrant might include its mark. In re Aquitaine Wine USA, LLC, 126 USPQ2d 1181 (TTAB 2018) [precedential] (Opinion by Judge Frances Wolfson; concurring opinion by Judge Lorelei Ritchie). 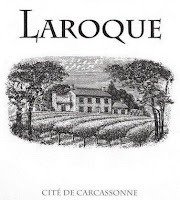 The Marks: The Board found, not surprisingly, that both the applied-for mark and the cited mark are dominated by the word LAROQUE. 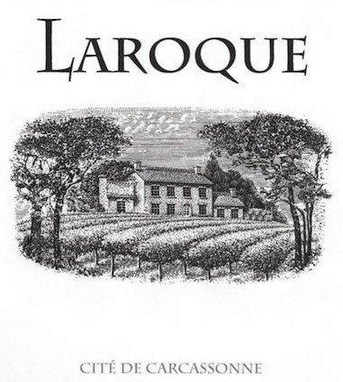 There was nothing in the record indicating that LAROQUE has any meaning - geographic, surname, or otherwise - and nothing suggesting that it is weak or not inherently distinctive. Applicant argued that wine consumers choose wine based on the images on the labels and therefore the design in applicant's mark would be the dominant element. However, even assuming applicant is correct regarding consumer motivation, applicant's mark is not a wine label. In any case, wine is often ordered by the glass from a wine list showing only the names of the wines, without images. Furthermore, the Board must compare the marks as they appear in the application and cited registration, regardless of how the marks are actually used. Applicant and Examining Attorney Tabitha Messick jousted over whether the Board must consider only "reasonable variations" of the cited, standard character mark, but the Board pointed out that they were misreading the CAFC's decision in In re Viterra, Inc., 101 USPQ2d 1905, 1908 (Fed. Cir. 2012). There, the CAFC rejected the "reasonable manners" test as "unduly narrow" and instead endorsed a standard "that allows a broader range of marks to be considered in the DuPont analysis when a standard character mark is at issue." Viterra at 1910. The appellate court stated that it was "not suggesting that a standard character mark encompasses all possible design elements," leaving it "for future cases to determine the appropriate method of comparing design marks with standard character marks." Id. In comparing the applied-for mark with the cited mark, the Board pointed out that the pictorial representation in applicant's mark is taken into account in the du Pont analysis. Here, applicant's depiction of a "chateau" would at least call to mind the word CHATEAU in the cited mark. The Board concluded that when the involved marks are considered in their entireties, they are partly similar in sound, more similar than dissimilar in appearance, and convey similar connotations and commercial impressions. Therefore, the first du Pont factor weighs in favor of a finding of likely confusion. The Goods: Applicant argued that consumers would know that the involved French wines come from different regions in France, but the Board pointed out that nothing in the cited mark itself indicated the origin of registrant's wine. 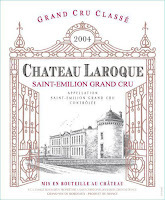 Moreover, consumers intending to order registrant's wine may remember it as LAROQUE, or CHATEAU LAROQUE and may be unaware of its geographic origin; upon encountering applicant's mark, which includes an image of a chateau, these consumers may mistakenly believe they are being served registrant's wine. viticultural regions, especially where, as here, those regions are in the same foreign country." Moreover, applicant provided no evidence that American consumers of wine are aware of differences in the specific appellations used in French wine production. Channels of Trade: The evidence showed that wine purveyors sell, on the same webpages, French wine from different regions, including wines from the Cité de Carcassonne and the Saint-Emilion regions. Moreover, applicant did not show that a company doing business in one region could not establish a winery in a another region, and so consumers encountering wines from different regions under similar trademarks may believe that they emanate from the same source. Sophistication of Purchasers: Because there are no limitations in the application and cited registration as to trade channels, classes of consumers, or conditions of sale, the Board must presume that they encompass inexpensive or moderately-priced wines. In fact, the evidence showed that the average price of applicant's pinot noir is about $17, and the Saint-Emilion wines advertised along side applicant's wine on the websites of record ranged from about $15 to $30. Conclusion: The Board found that consumers are likely to believe that applicant's wines originate from, are associated with, or are sponsored by the same entity as registrant's wines. Concurring Opinion: Judge Ritchie concurred in the result but disagreed with the majority's rationale. Specifically, Judge Ritchie found "the pronouncement of the majority that it will not consider 'design features' to be both unnecessary and ultimately unhelpful." Instead, Judge Ritchie would find that "the Registrant's right to display of CHATEAU LAROQUE in any 'font, style, size, or color' includes designs that would make it similar to the [logo] mark sought by Applicant." TTABlog comment: I agree with Judge Ritchie. C'est la vie. Is a different Board panel now bound to apply this new test? I wonder what the French appellation of origin gendarmes think of the two marks.